Throughout 2018, various events had a strong impacts on Muslims in Malaysia. These events should be viewed as lessons to Muslims so that we do not repeat the same mistakes again. Responses from the prime and social media point to hopes that these drastic changes in the country’s political landscape throughout 2018 will bring together new hopes for 2019. As we all know, these drastic changes are primarily brought about by the success of Pakatan Harapan (PH) in overthrowing and breaking the monopoly of Barisan Nasional’s (BN) dominance who ruled Malaysia for over 60 years since her ‘independence’. But can we really expect to have real change? Issues such as the 1MDB scandals, corruption, the increasing cost of living and others have succeeded in forming a perception among the people, especially youngsters to reject BN government rule. It is thus not surprising that the victory of PH sparked euphoria among a few Muslims, especially for those who saw the PH victory as a success to overthrow a regime led by leaders who were plagued with various scandals. Ironically, the “New Malaysia” era is witnessing how the former political enemies are now ‘friends’ in shaping the government, while former ‘friends’ are now opponents who strive hard to bring one another down. This clearly shows how in democratic politics, friends and opponents are transient elements. Only benefit (maslahah) remains a constant! Notwithstanding its constancy, maslahah is itself a temporary element that is not worthy of becoming the basis of bonding between men. 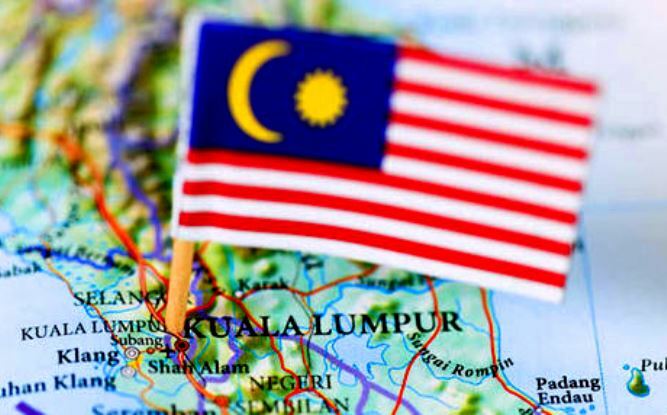 The euphoria of a ‘new Malaysia’ began to fade when Malaysian begin to realize that the election promises and pledges manifest failures. Majority of the promises made in the election manifesto are unmet. The government’s attitude and response that diverts the cause of failure to the inherent debt inherited from the previous government is making people sick and disappointed to the core. The PH government has also lost a lot of credibility in the eyes of the people as many see ‘U-turns’ in the decisions they made. From the economic point of view, despite the improvement in economic growth as announced by the government, the economic condition of ordinary people is still at the same notch. General indication of good economic growth with positive economic data is one thing but one should not ignore the ordinary people who are feeling the burden of high costs of living. ‘Good’ economy refers to numbers indicated by the production parameters – GDP and GNP – when at the same time, the idea of ​​freedom of ownership has allowed public ownership rights such as oil, natural gas, bauxite, gold, timber and water supplies in the country to be monopolized and profited by only a handful of rich individuals and corporations. Consequently what we see is that the economy is ‘growing’, but is not felt by most people. This creates a greater gap between the rich and the majority. Last year recorded an increase in urban poverty despite various initiatives being taken to address it. Based on the UNICEF ​​Malaysia Children’s 2018 Report, one in 3 households have an income of less than RM2000 per month. Although the amount exceeds the poverty line (PGK) income, the urban poor in particular are still facing difficulties in meeting the basic needs of living. The report also stated that three generations are living in 22% of households with nutritional problems when at the same time, there are people living with abundant wealth. Besides economic problems, social integration in the country is also increasingly threatened following the actions of a few who play racial sentiments for political gain. These actions could invite racial strife and trigger a shift that could threaten harmony in society. The “New Malaysia” era also saw increasing numbers of supporters of liberalism who dare to dispute the norms and teachings of Islam. They strive to promote the idea that religion is a personal affair and must not be applied in social and state affairs. Practices linked to Islam and Islamic institutions are also targets as can be seen in the issue of adolescent marriage, polygamy, child custody of different religious couples, and female circumcision. The PH government tries to sell the idea of Islamic Rahmatan Lil Alamin (IRLA) which clearly deviates from its real meaning and is really a tool used to justify the encroachment of secular ideas into Islam. It does not bring elevation to the Muslim mind nor any development of the nation on the basis of the Shari’a, but instead, catalyses the dissemination of misleading doctrines such as liberalism, secularism and pluralism into the society. It is clear that the new government does not bring any real change to the society. In many aspects, the situation is worse than that under the previous administration. It is, however, clear that the ‘New Malaysia’ is not much different from Malaysia under BN. Real implementation of Islam is still distinctly absent. With only a change in the faces of those who rule but ‘zero’ change in the system, nothing, basically nothing has changed! What is needed today is not the change of faces that fill the government, nor cosmetics to hide the prejudice and disparities arising from the application of the capitalist system today. Muslims in this country need a systemic change where Islam is implemented in its fullest under the auspices of the Khilafah Rashidah (rightly guided Caliphate). Admittedly, with the founding of the Khilafah, it does not mean that all problems will just disappear – under the Khilafah, the position of Islam as a way of life that is responsible for handling of all human problems is restored. And only by sincerely applying Islam and only expecting the pleasures of Allah (swt) will His Rahmah cover every corner of this world, not just Malaysia. Previous PostQ&A: To whom the Zakat of Livestock is Paid in the Absence of Khilafah!